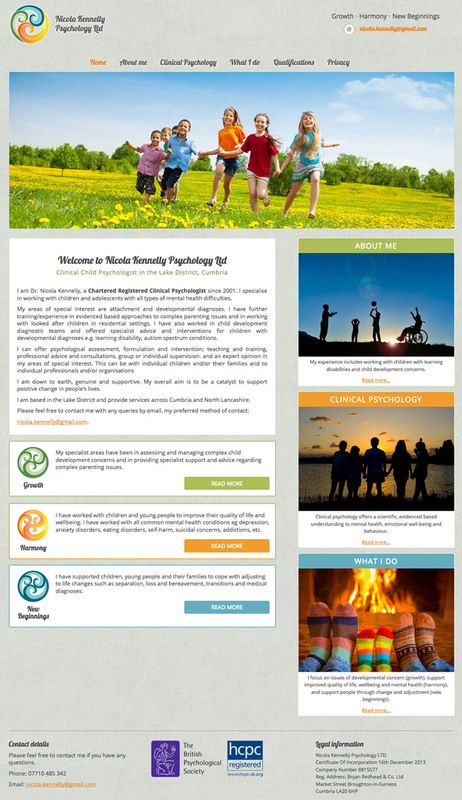 Website rebuild for Clinical Child Psychologist in the Lake District. The client had an earlier website which could no longer be accessed and a redesigned one which had never been completed. We retrieved the domain name and made copies of the second site redesign, which was used to reconstruct the website with newly written content.